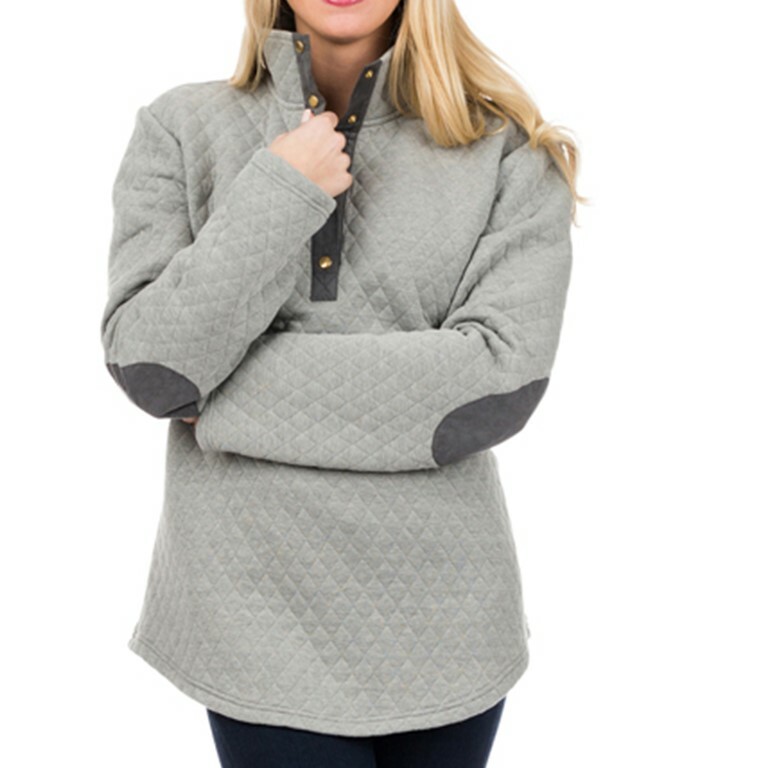 This monogrammed elbow patch grey pullover will keep you warm! Personalized and stylish with snap closure and your monogram. It is 100% polyester and perfect for layering. Pair with jeans and booties for a great Fall Look!